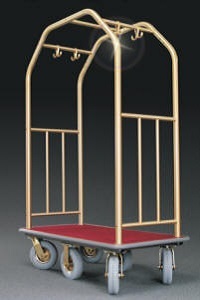 Six Wheel Bellman - Glaro Inc. The Permanent Satin Brass and the Satin Aluminum Finishes both have a specially formulated clear epoxy coating so that they will never tarnish and never need polishing. The sturdy, heavy gauge aluminum frame with Glaro’s clear coat finish withstands weather and rough handling far better than other metal finishes. 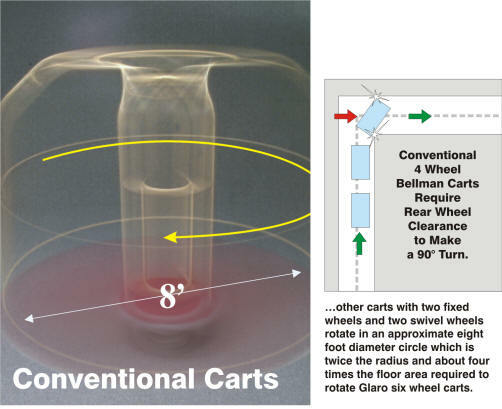 Push, Pull from Either End, No front, No back… Equally maneuverable from either end of the cart. 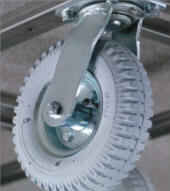 The 6 wheel configuration provides ultimate control in a cart that literally spins in place. 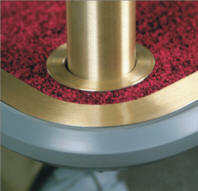 It’s also easier to turn corners without bumping walls and easier to get in and out of elevators and tight places. Heavy gauge steel, double welded chassis with an oven baked rust preventative coating will handle heavy loads and last a lifetime. The extra thick, solid, waterproof deck will endure use and abuse. Edges are protected with matching, finished extruded metal trim and a thick, non-scuff soft rubber bumper that protects your walls, furnishings and the cart itself. 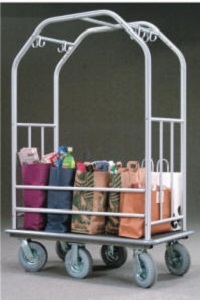 Glaro Bellman Carts are also available in 27 Designer Powder Coat finishes. The 100% Olefin, durable closed loop carpet is available in 7 popular colors and can be customized and/or replaced in the field when and if desired. 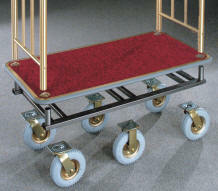 Choose either black or gray wheels and bumper to personalize your cart. 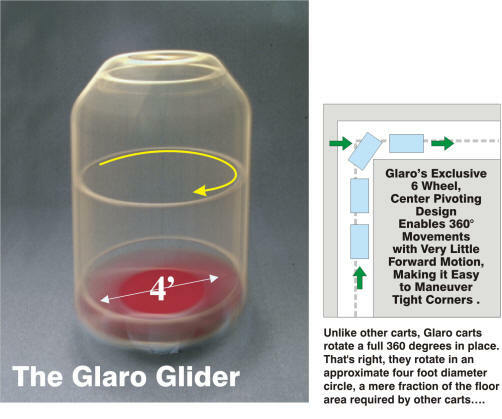 Learn more about Glaro luggage carts.